I also cannot what to see the super chic outfit she will be wearing for her performance. Below are some of my favorite costumes Beyonce has worn during past live performances. Only Queen Bee could wear this and still look so beautiful! The hair! The color! So bright and fun! This dress is just so dramatic and fierce! 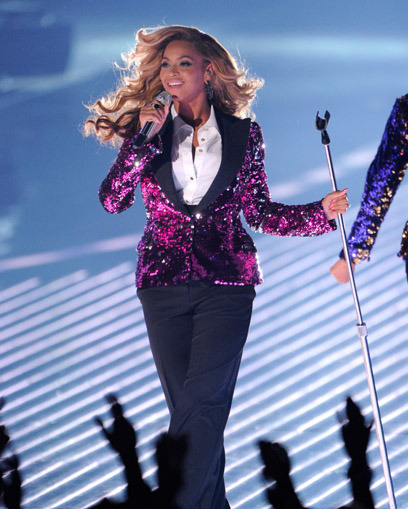 What a way to rock a sequinned purple blazer! Absolutely gorgeous! 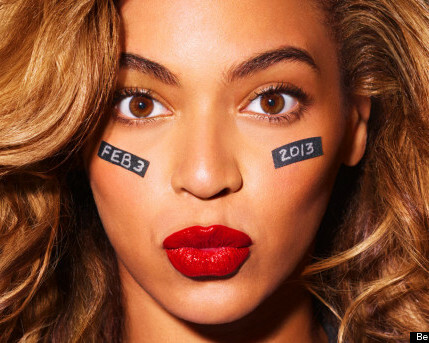 Thanks for stopping by and I hope you all enjoy the game and Beyonce's half-time show! Beyonce is a BEAST!!!!! I just saw the performance, she is so darn talented hey!